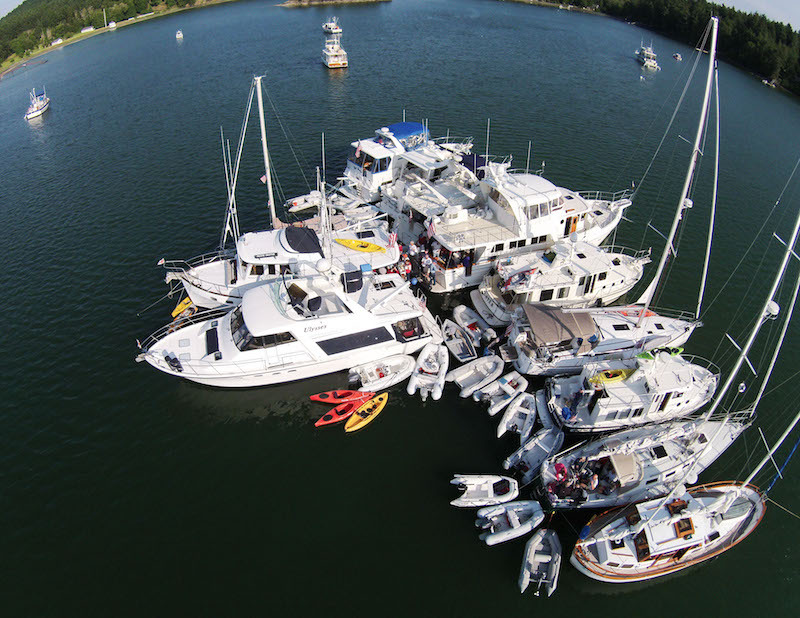 What happens when 24 boats gather in Garrison Bay and plan a potluck? Over 50 people have a great time! There was always something going on at the central raft-up of 11 boats. Sunday was the busiest with blindfolded dinghy races followed by kayak racing, both forward and backward. A leisurely kayak cruise followed, then we all went ashore for a picnic dinner. Hikes were made to the top of Young Hill, to the Alpaca Farm, and even all the way into Roche Harbor and the Sculpture Park. Others found their way to ice cream and burgers in Roche via boat. Make sure you get this annual cruise on your calendar next year!